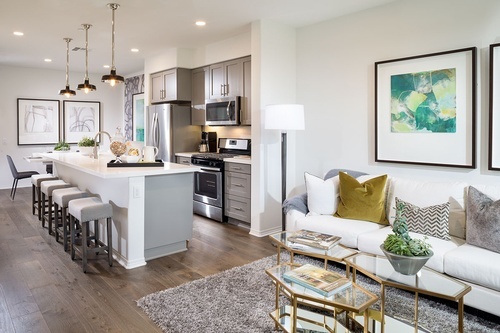 Olson Homes will debut brand-new townhomes at District Walk in Anaheim. Tour the Plan One and Plan Three model homes that showcase spacious, light-filled floorplans. Choose from a total of six distinctive floorplans at District Walk, with townhomes ranging in size from two to three bedrooms and 1,355 to 1,701 square feet.